$20 billion in new infrastructure over the next decade. The bill also calls for cutting emissions from transportation and for vastly expanding the clean energy workforce. communities and workers, and allow the clean energy economy to continue growing in every corner of Illinois,” according to the text of the Clean Energy Jobs Act (SB 2132/ HB 3624). energy sector, economy, and culture. In 2014, he was awarded the Arthur F. Burns fellowship to cover Germany’s energy transition. sector. 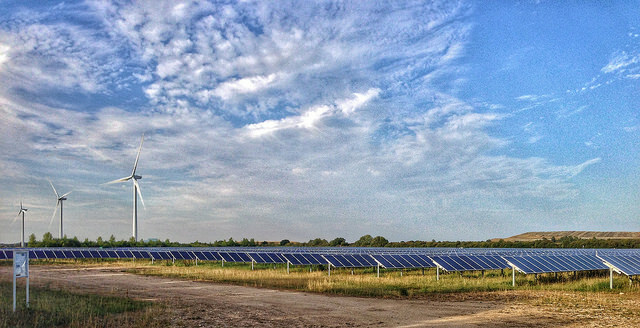 Illinois lawmakers want to do it with only renewables. A western Minnesota wind-solar project is among the first of its kind in the country but won’t be the last. and the number of Fortune 500 companies with 100% renewables goals more than doubled last year. 100% Clean Electricity in Washington State: Everything You Need To Know, Union of Concerned Scientists Blog. Washington state’s lawmakers are contemplating the transition to 100% clean electricity. Fortunately, Washington’s grid is already one of the cleanest in the nation, with much of its electricity coming from hydropower. So what exactly does “100% clean electricity” mean for the state? How would this transition affect Washington’s economy? And why should Washington do this in the first place? This entry was posted in NewsBlog and tagged benefits of transitioning to a clean energy economy, benefits of wind-solar pairing, clean energy jobs, Clean Energy Jobs Act, energy transition news, Fortune 500 companies with 100% renewables goals, Green New Deal Resolution, U.S. cities with 100% renewable goals, Voluntary Renewable Energy Tariff (VRET) on March 7, 2019 by Helen Deffenbacher. It’s worth noting just what a high-wire act the authors of this resolution are attempting. It has to offer enough specifics to give it real shape and ambition, without overprescribing solutions or prejudging differences over secondary questions. It has to please a diverse range of interest groups, from environmental justice to labor to climate, without alienating any of them. It has to stand up to intense scrutiny (much of it sure to be bad faith), with lots of people gunning for it from both the right and center. And, of course, it eventually has to give birth to real legislation. Given all those demands, the resolution does a remarkably good job of threading the needle. It is bold and unmistakably progressive, matched to the problem as defined by the Intergovernmental Panel on Climate Change, while avoiding a few needless fights and leaving room for plenty of debate over priorities and policy tools. Read more here. This entry was posted in NewsBlog and tagged Green New Deal Resolution on February 7, 2019 by Helen Deffenbacher.